Monitoring the competition is an important part of protecting your intellectual property – in some cases, for example, to maintain your trademarks, you need to ensure others are not misusing your IP. Keeping an eye on what your competitors are doing (in a legally-proper way) also helps maintain the competitive advantage you derive from your intellectual property – which really should be the purpose for protecting your IP in the first place. When a competitor launches a product that looks very similar to your technology, and you realize they recently hired engineers who worked on your technology, what do you do? Do you have patents or trade secrets that prevent them from selling their new product? Even if you do, should you act? Are there pitfalls to be aware of? 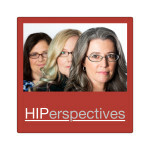 These are just some considerations covered by the HIPLegal partners in this episode, discussing what to do when a competitor appears to be infringing your IP rights.